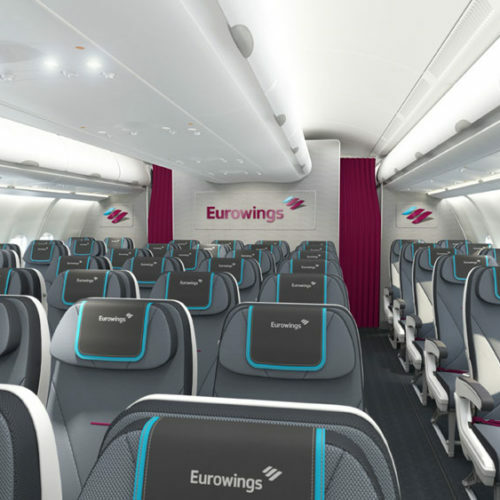 Eurowings is cracking down on cabin baggage. To carry a violin on board you have to pay extra for a ‘smart’ seat. It’s a new way to screw musicians. It’s a shame. Eurowings, back when it was GermanWings, was a reliable way for musicians to get around. Its stated policy was that “instruments no larger than a guitar” could be carried on at no extra charge. Because I live in Cologne, a Eurowings hub, I regularly flew the airline to European gigs. Everything was pleasant and well run. Last summer I flew Eurowings to New York. The flight was delayed by more than three hours because of Eurowings mismanaging its fleet. The cabin was freezing (and they charge for blankets). The staff was stressed. Really, not much good could be said about the experience. Not ideal but sure beats the some jerk on a power trip randomly not letting you on at all or making you buy another ticket. I just want to *know* that I will be able to bring it on no hassles. Yeah, that was what I was thinking, too — predictability that you will be able to get on board with your instrument is worth something! Violin cases are much larger than they used to be. It’s not unfair to pay extra. But it is dumb to fly budget airlines. Actually, there are form-fitting light weight violin cases much smaller than they used to be. Are you a violinist?? I have no experience with EuroWings, and the article doesn’t address violins specifically. But it makes a good point that carry-on baggage slows boarding (and deplaning), so if you want to bring it with you, you pay. I’d say that as long as there’s transparency and rules are enforced correctly, it’s reasonable. How it works in practice is another matter. So MacroV, paying to take your instrument (Tool of your trade) makes boarding and disembarking (please, NOT deplaning!!) quicker does it? Plot twist: this feature is only available on Boeing 737 Max. I wouldn’t trust aircraft loaders with my instrument, even if I’d paid only $20 for it, let alone between $50k and $100k. The rush to ever lower cost carriers (with Lufthansa participating in the form of Eurowings) gets not only musicians, but every human being screwed, according to the motto: “Shut up, buckle up, or get off!” Yet, this is the irreversible reality: flying has degenerated into cattle transport. One might as well place oneself, together with one’s violin, into a crate and travel in the hold… How I envy piccolo players! Airlines are getting creative in figuring out ways to ding passengers with extra charges. I booked a flight the other day and found that if I took a seat in the row directly in front of mine, I could pay an additional $59 “to be closer to the front” of the plane! For the two-and-a-half foot advantage, I passed. As it was, my $275 fare quickly turned to $450 when I added things that, in an earlier time, came with the cost of the ticket. Why is there a link to “Read Here” when opening that link takes you to an article entirely in German, which MANY people don’t understand. Why can’t this be made more useful? Many people don’t understand English, either. NL provided a link to the source for his information. If you can’t read it, find someone who can, find an alternate source, or do without. I think for most readers, the pertinent info is available in this article, namely, if you’re planning to fly Eurowings with an instrument, you should be prepared to pay extra. If you need more than that, talk to Eurowings! They aren’t going to feel bound by an article in some city newspaper, after all. Either this headline is incorrect or Eurowings has failed to update its website. According to Special Luggage/Musical Instruments, the site continues to say that musical instruments can be carried on as the piece of hand luggage provided they are the same size as or smaller than a guitar and packaged in a soft case. It’s the “soft case” that’s the catch. I put a case cover over my hard case, which so far has satisfied gate agents and flight attendants alike.